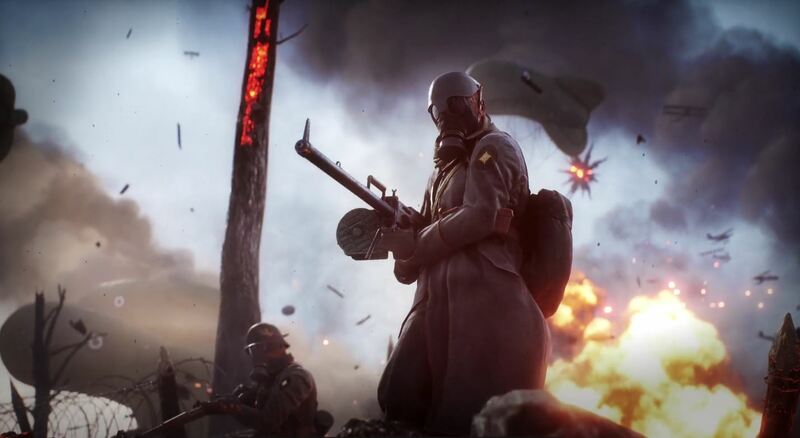 A gameplay video has surfaced from the Battlefield 1 single player campaign running on a single GTX 1080 GPU in “5K” 5431×3055 resolution. EA and DICE released Battlefield 1 last week, and judging from early performance analysis, the game runs great on all platforms. DICE did an amazing job optimizing the game for their Frostbite 3 engine, and according to Eurogamer’s Digital Foundry, NVIDIA’s GTX 1080 should also be able to run the game at 60FPS in 4K. As expected, that game is unable to reach 60FPS with the setup used, and as noted by BR34K, the GTX 1080GPU is likely the bottleneck. You’ll have to excuse the god awful aim, but the mouse acceleration at that resolution is obscene (due to upscaling), so it’s really hard to aim. Video is downscaled to 4K due to the limits of existing recording software. I do suspect the GPU is bottlenecking the system here, as it’s using all my VRAM. Battlefield 1 is available now for PC, Xbox One, and PS4.